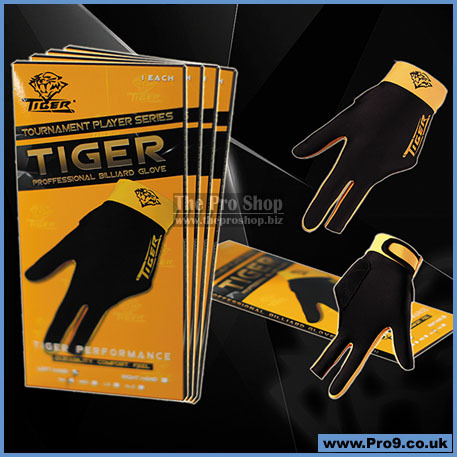 New Tournament Player Series Tiger gloves are made with a combination of high quality Lycra in two colours (Black/Orange) and Suede Leather inside the palm area. Two of the fingers are closed style and one open to get a better feel of the table. 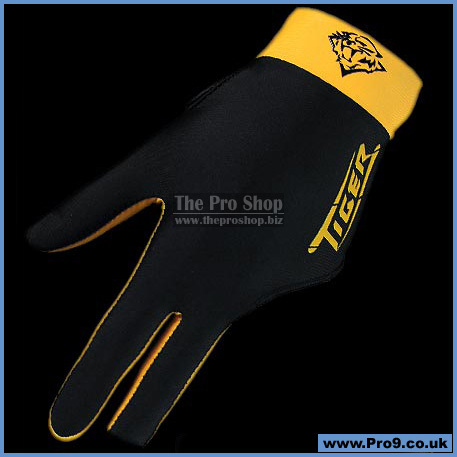 Fingers are stitched using two different Lycra materials to give you the most comfortable fit, feel and feedback. Velcro is used to adjust the tightness around your wrist. This particular Lycra material is one of the best in the world, known for its durability while allowing your hand to breathe. It will allow you play long hours without the worry of sweating. It is available for both right or left handed players from sizes small to extra-large. 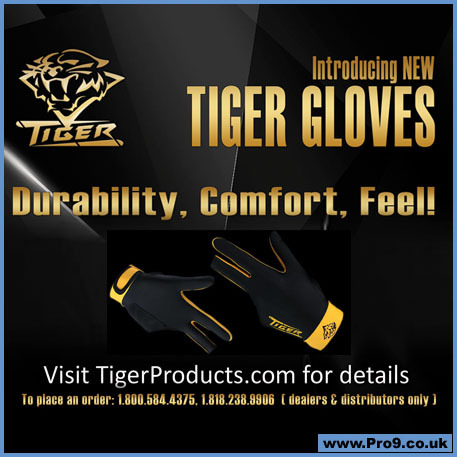 One reclosable plastic bag is included with every Tiger glove purchase.